For Straatnieuws a newspaper of the streets of Den Haag and Rotterdam I worked with writer and journalist Paul Waayers on a series of portraits of people who still practice old crafts. One would think these crafts would have died out by now, but on the contrary, they are alive and kicking. 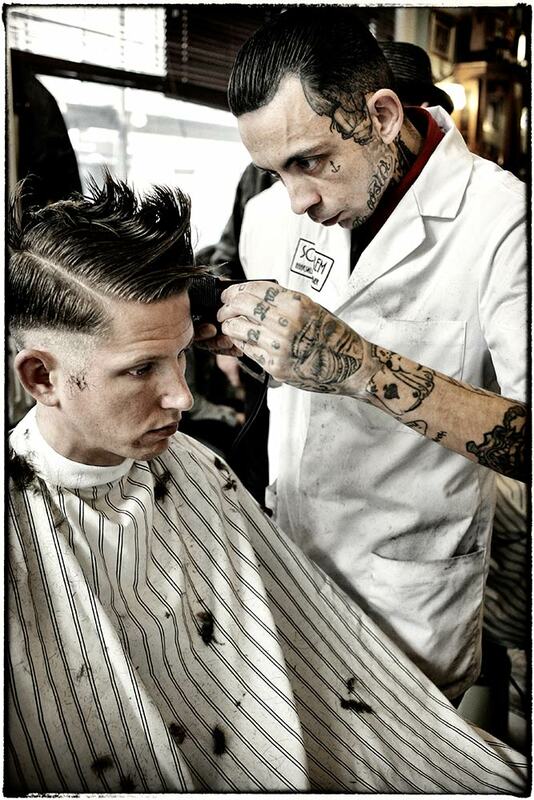 We visited Schorem, barber and hair-cutter in Rotterdam, where people sometimes have to wait in line for 3 hours just to get their beards trimmed. And: no women allowed! 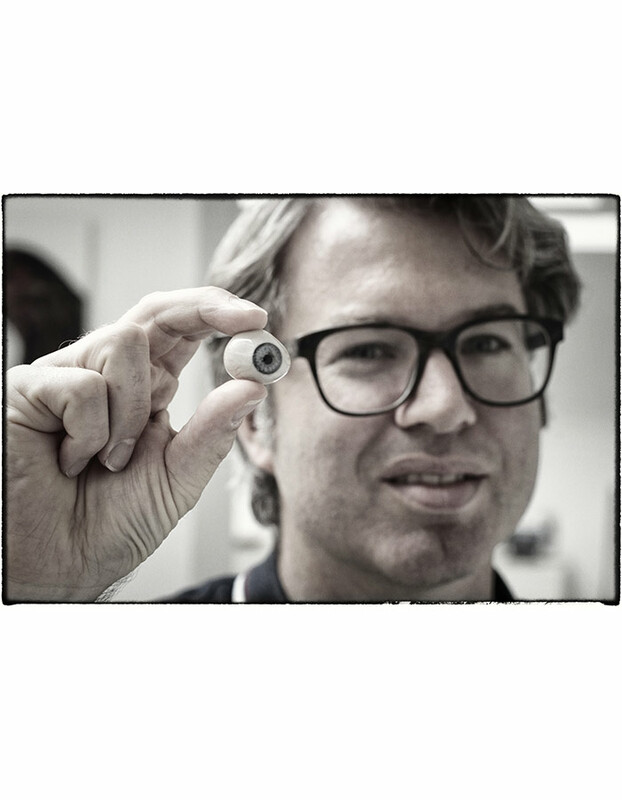 At the Eye laboratory Axel Franken makes artificial eyes with great precision. 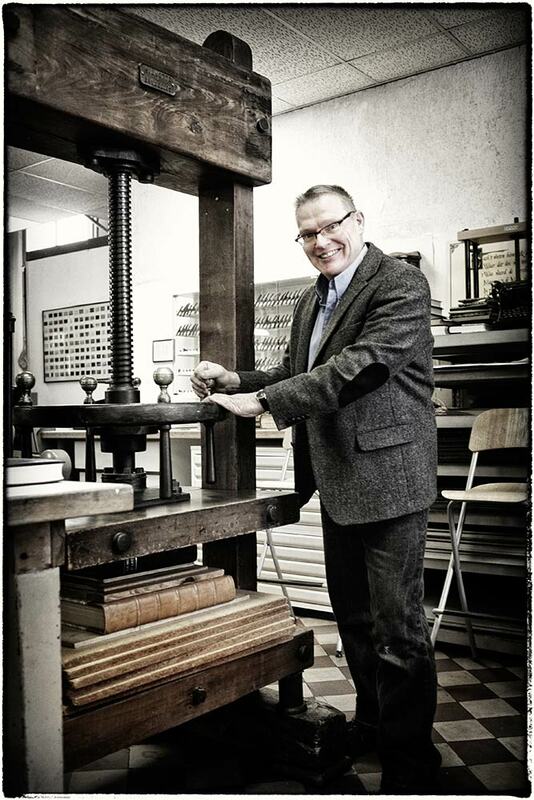 Bookbinder Willems of Brilman restores and binds books, both old and new. 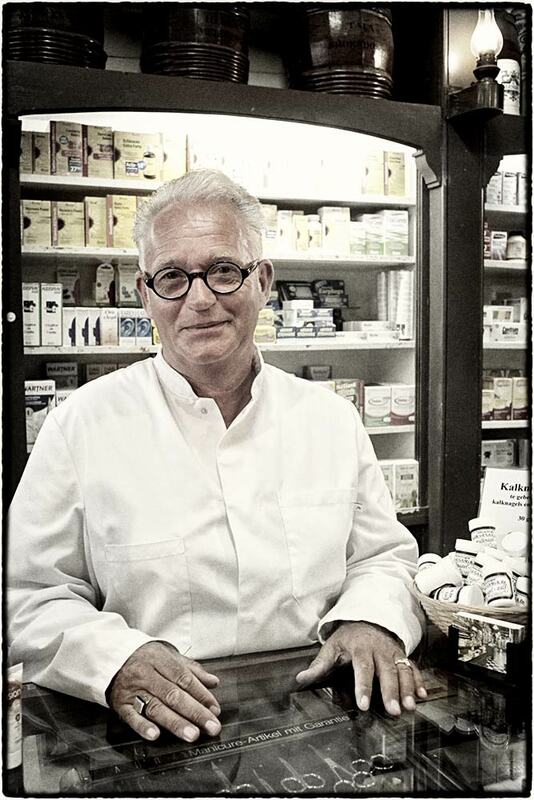 I portrayed Jos Kouwenheuvel owner of drugstore van de Gaag, which has existed since 1796. 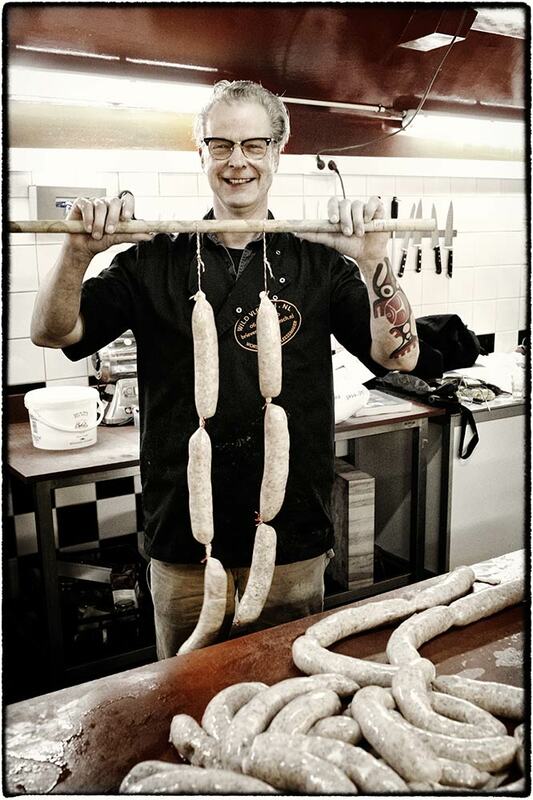 We visited sausage maker Paul van den Hooven who works from a ship in the harbour of Rotterdam. 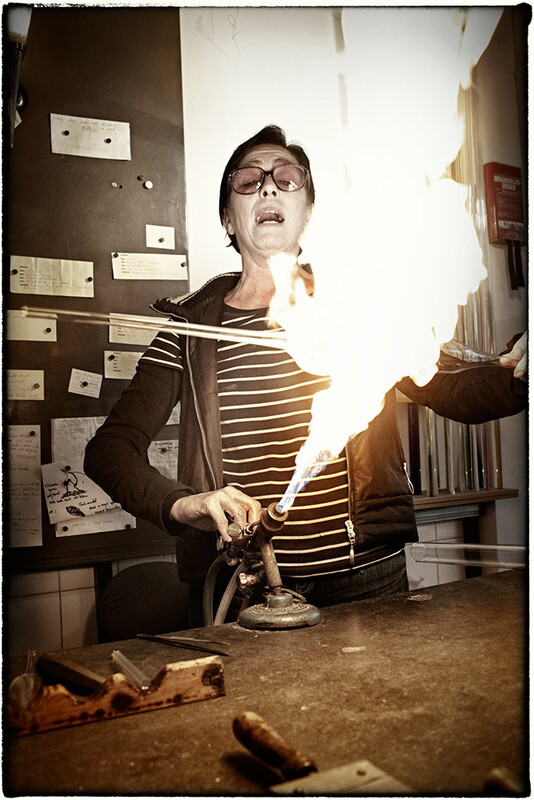 Miranda van der Waal is a true glass-artist. 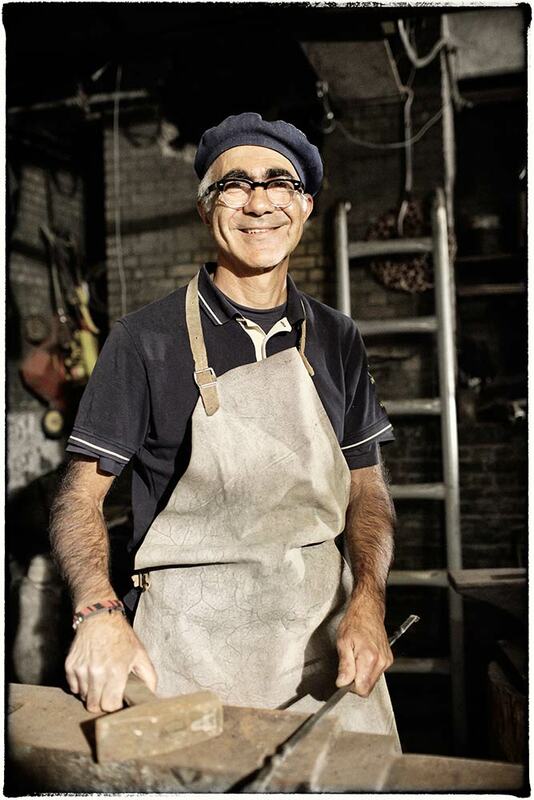 Satvros Pahtalias is a blacksmith in his spare time. 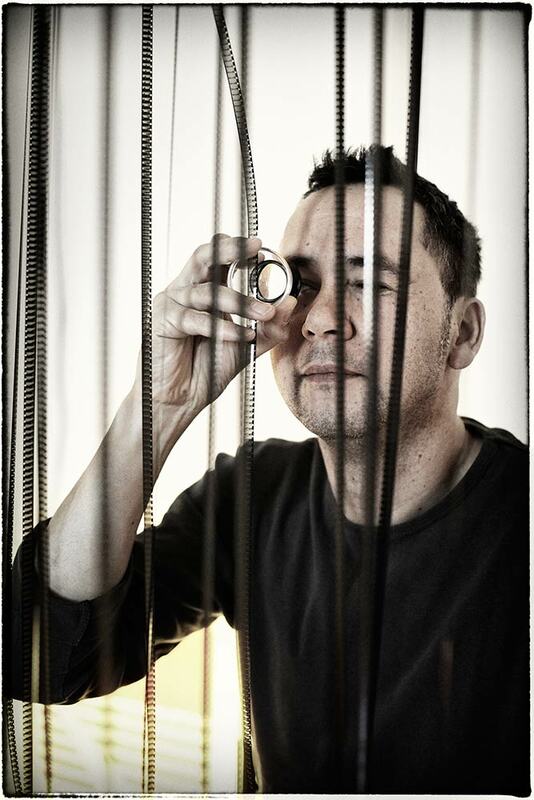 We went to Super8 Filmlab in The Hague where Frank Bruinsma still develops Super8 and other analogue film formats. Candy maker Sarah van der Kuip makes food-candy. 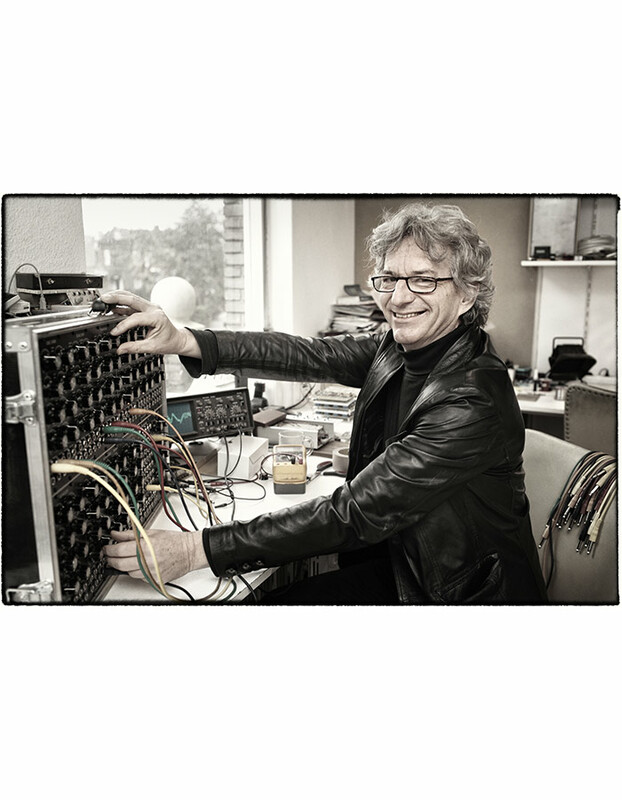 Rob Hordijk makes analogue synthesizers: he invented the Blippo box. 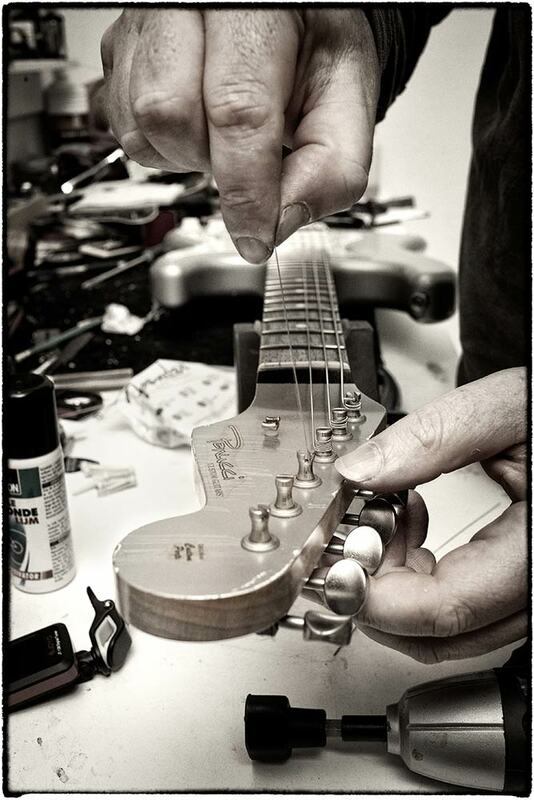 Angelo Merrienboer makes guitars for a living. 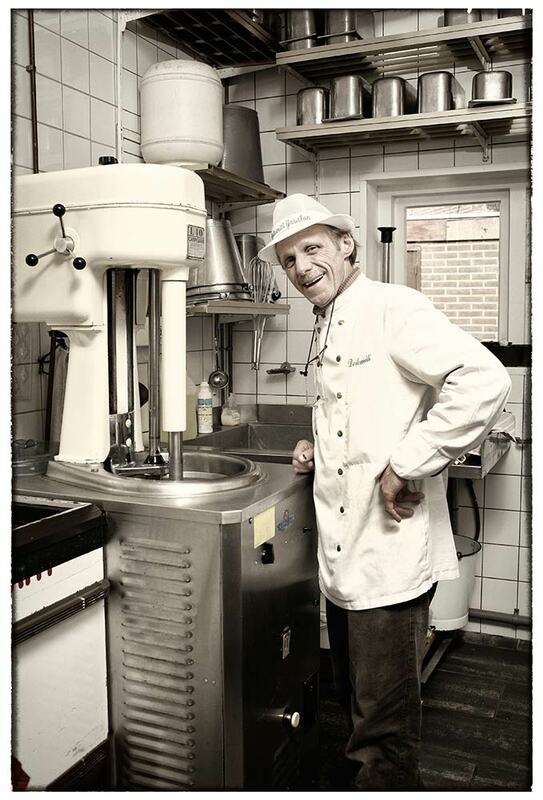 Mario makes the best organic icecream of the Hague. 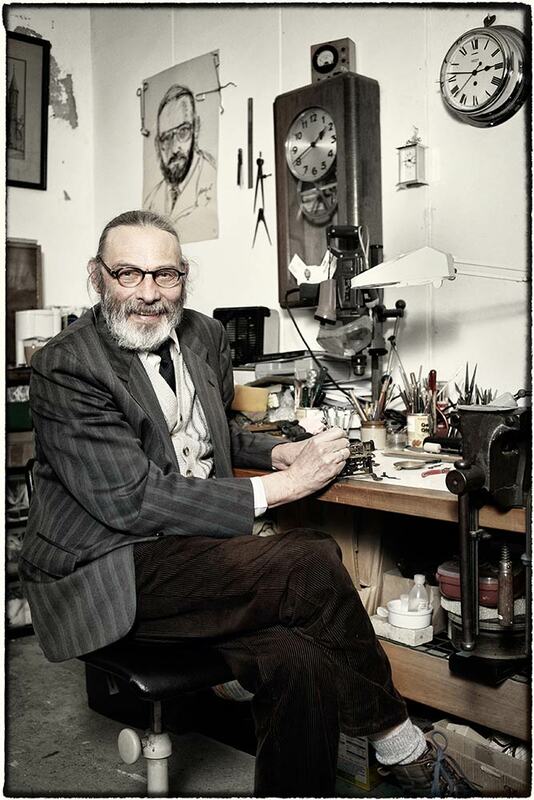 Old instruments, whichever it’s function can be restored by Henri Rombouts of Philosophical Instruments. 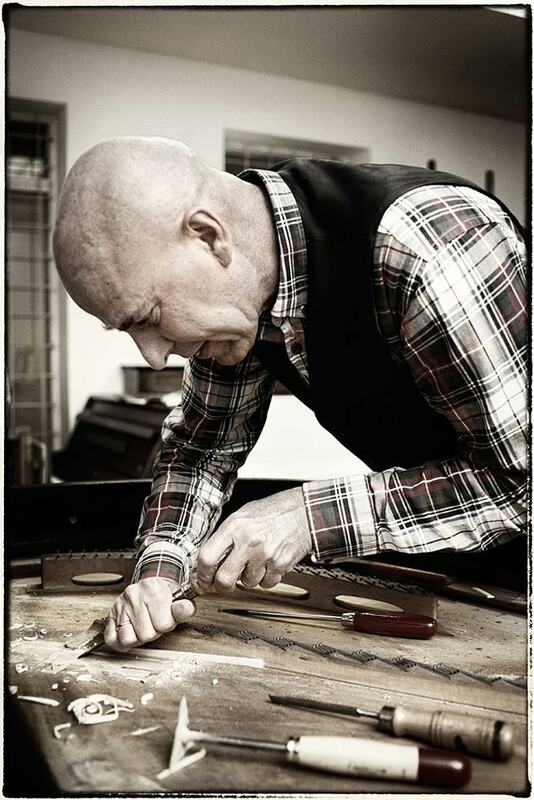 Piano’s are a knack for restorer Jan Guurink. 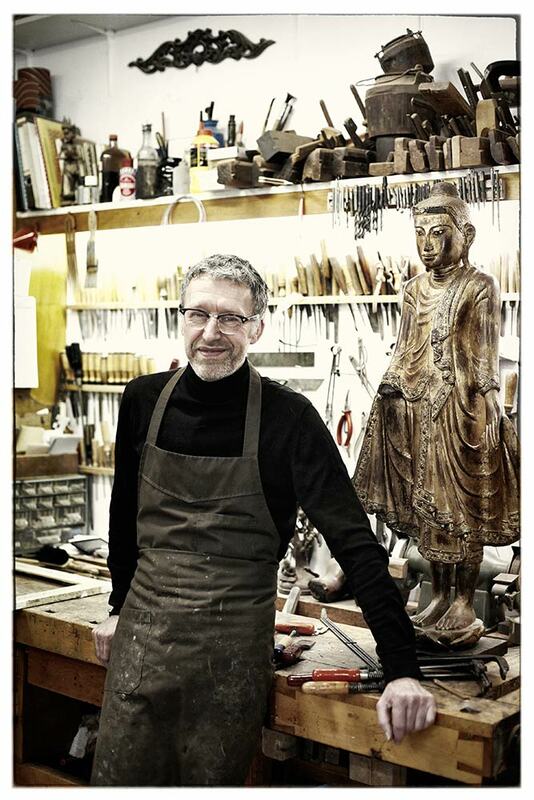 Wood worksman Johan Klijn restores old and new wooden funriture. 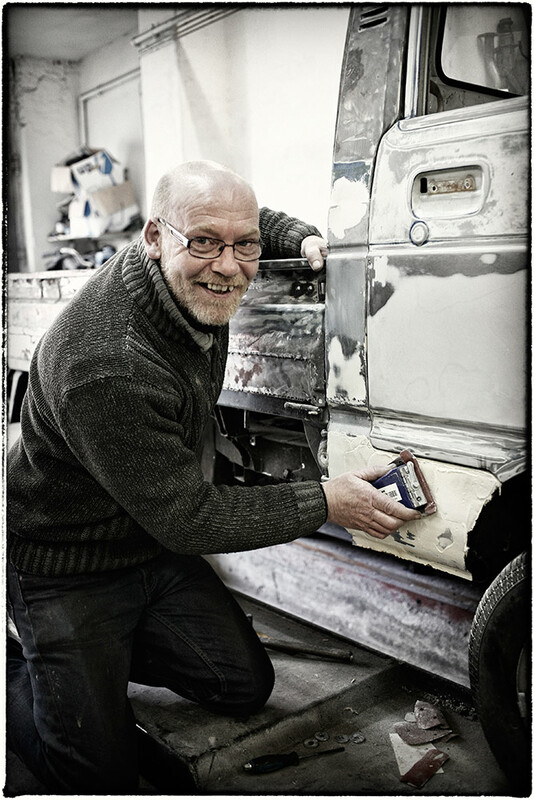 Puk Meershoek works with both old and new cars. At goat farm ‘Het Geertje’ the old handicraft of cheese making is still done by hand. 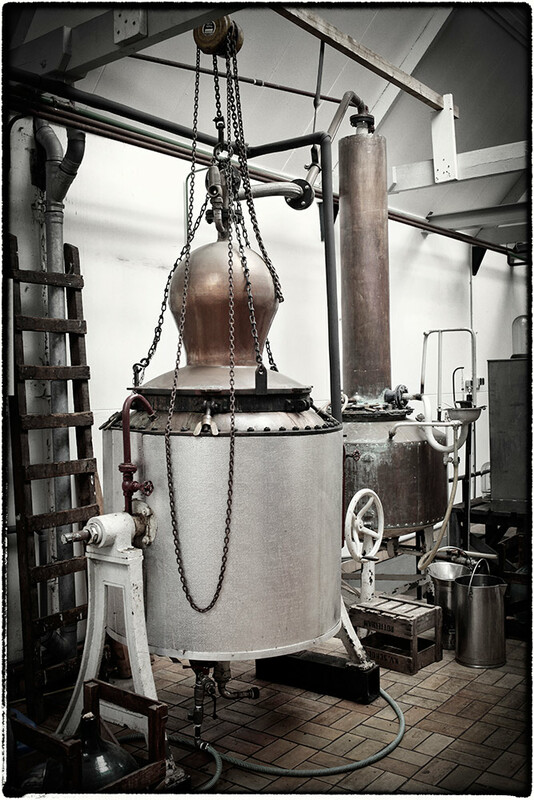 At distillery van Toor the famous Schelvispekel is made. 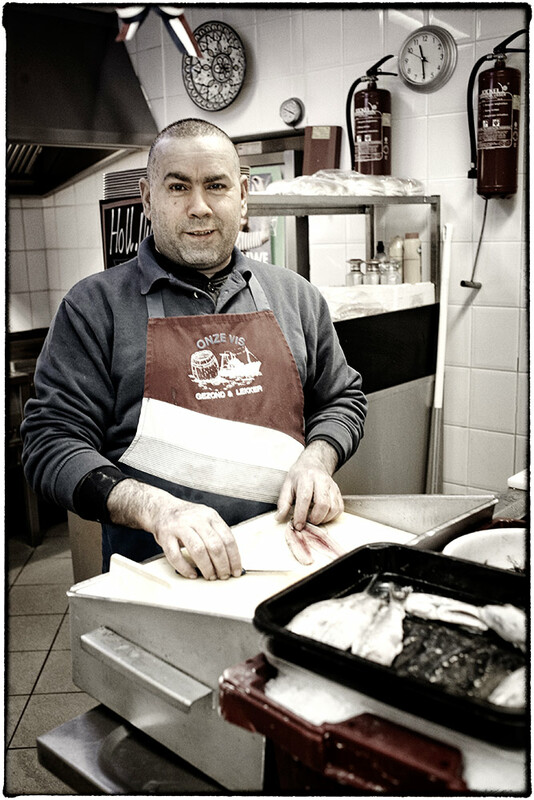 And Ben Sanhaji is fishmonger and owner at ‘De Zeespiegel’. These are all super hip and lively crafts.